Liane’s story and the Ploughed Heart album became the main inspiration for the Festival of Life and Death, a free adaptable global concept and movement for suicide awareness, prevention, education and ultimately for a world without suicide. You can listen and download any Ploughed Heart tracks below for free. You can also download the whole album for free including cover artwork (pdfs on home page). If you prefer the CD itself a few remain available locally in Leicester at Revivals, 247 Clarendon Pk Rd, Leicester, LE2 3AN. 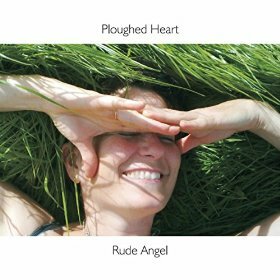 The Ploughed Heart album is now also available via most online retailers via CD Baby distribution, and also on Spotify, etc. The Festival of Life and Death is a global movement for suicide awareness, prevention, innovation, education, activism, joining together and global change – for a world without suicide. Suicide kills more people than wars and murders combined – a million people every year, and is rising fastest among young people. Below you can donate to The Festival of Life and Death, inspired by Liane Ashberry’s story, suicide, and the album Ploughed Heart. Liane Ashberry was a singer and community worker in Leicester, UK. She wrote songs and sang and played in a little band called Rude Angel. Liane died by suicide in April 2015, just after completing the album Ploughed Heart. In 2017 the Festival of Life and Death was launched, inspired by Liane Ashberry’s life, love, music, and death by suicide. Donations can be made with Paypal or credit/debit cards using the button below.